Looking for #YASH? You’re in the right place! my name is Derek Murphy. Last week I got into a scooter accident in Bali. In a few days I’m getting a full-arm tattoo (I’ve been wanting one since I was 27). But when I’m not injuring myself, I write fantasy. Today I’m thrilled to host Annie Sullivan. If you love badass heroines, scroll down to read about Princess Kateri, from Tiger Queen. Make sure you enter ALL the giveaways listed below. Hi! Annie Sullivan here, author of A Touch of Gold, about the cursed daughter of King Midas, and the forthcoming novel Tiger Queen. Tiger Queen is a sweeping YA adventure that tells the story of a fierce desert princess as she fights to save her kingdom. Princess Kateri is forced to fight against suitors in an arena to win her right to rule, but when her last suitor is announced as the one man she’s never been able to beat in a fight, Kateri has to scramble to figure out how to keep her throne—and it might just mean teaming up with her greatest enemy. I had so much fun writing Tiger Queen because Princess Kateri is the Wonder Woman of her age and the role model today’s young women need to prove they can fight for themselves and what they believe in. She’s strong, smart, capable, and won’t back down from a fight—even one she knows she can’t win. Roar by Katy Perry: The message behind this song fit so perfectly with who Kateri is as a character and how she finds her inner tiger. Eye of the Tiger by Survivor: This one had to be included simply for the name, but also because it has that upbeat energy that would get Kateri ready for a fight in the arena if they’d had music like this in her world. Prince of Persia Soundtrack: Raid on Alamot: This song really evoked some of the elements of the setting and has the right amount of tension going through it. Through Heaven’s Eyes from the Prince of Egypt soundtrack: This song has a line that says “That’s why we share all we have with you though there’s little to be found. When all you have is nothing, there’s a lot to go around.” And that’s very true in Achra. The people in Achra have learned to survive in what used to be a thriving desert, and some give all they have to help others, but people are running out of water, which is just one more problem Kateri has to deal with. This is Me from the Greatest Showman: Kateri really has to figure out who she is and what she wants in life, so this song was fun to write to for those uplifting moments when she truly finds out who she’s meant to be. King of Anything by Sara Bareilles: The ruler of the kingdom of Acrha is supposed to be chosen by the desert, and Kateri really grapples with that through the novel. And this song really encompasses the message of someone telling someone else who to be. Now that you’ve got the soundtrack, preorder your copy of Tiger Queen today! In a story full of Robin Hood vibes, you’ll follow Kateri as she battles to find a way to defeat her opponents in the arena to win her crown, uncovers secrets the sands have long tried to hide, and realizes the sands aren’t the only ones who want those secrets to stay hidden. You are in for a thrilling ride full of heart-stopping action and twisted betrayals in a unique desert landscape to see whether Princess Kateri will face her final opponent in the arena or find herself facing the tigers instead. Enter to win THREE amazing books by authors on the #REDTEAM and $100 in Amazon credit. If you’ve already entered the giveaway and are ready for the next secret number, you can continue on your way to visit one of my favorite authors, C. J. Redwine. 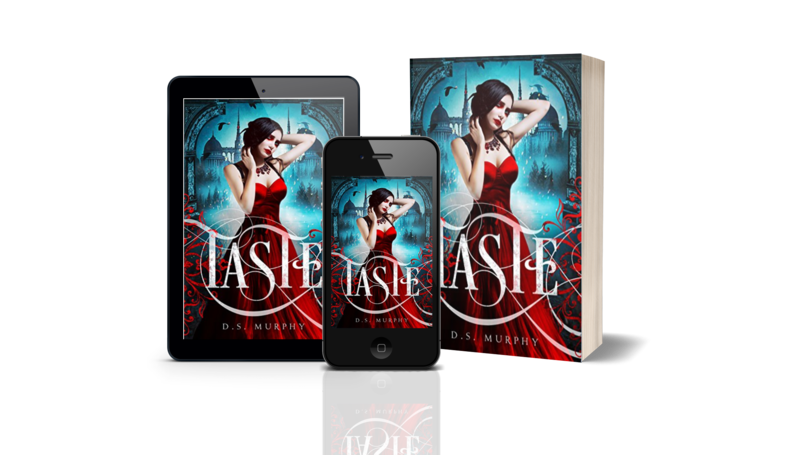 My vampire dystopian novel is FREE today on Kindle Unlimited.